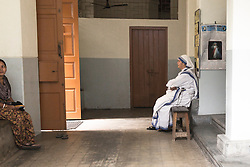 The Missionaries of Charity was founded on October 7, 1950 by Mother Teresa and her small band of dedicated pupils for the purpose of serving humanity with the vow of “Wholehearted and Free service to the poorest of the poor”. 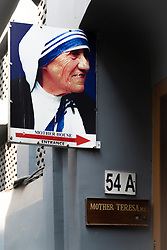 After receiving permission from the Vatican to establish her own order, Mother Teresa established an institute which was initially called the Diocesan Congregation of the Calcutta Diocese. 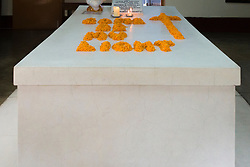 It began as a small community with 12 members in Calcutta. 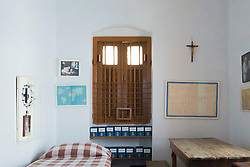 Gradually, with the passage of time, it came to be known as the Missionaries of Charity. 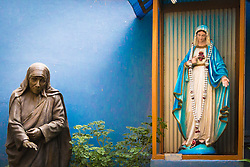 By granting a Decree of Praise, Pope Paul VI granted Mother Teresa’s request to expand her congregation to other countries. 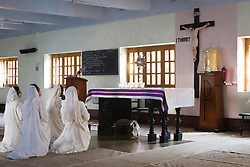 The congregation’s first house outside India was in Venezuela, followed by Rome and Tanzania, and eventually across many countries in Asia, Africa, and Europe. By 1996, the Congregation was operating 517 missions in more than 100 countries. Presently, it is assisted by over one million co-workers and many donations from people worldwide. The society has over 4,500 sisters as its member, and has a presence in over 133 countries.